The Chevron Bracelet is an original design I developed when working on the design for the Checkerboard Bracelet. It is really fun to make and easy to wear. 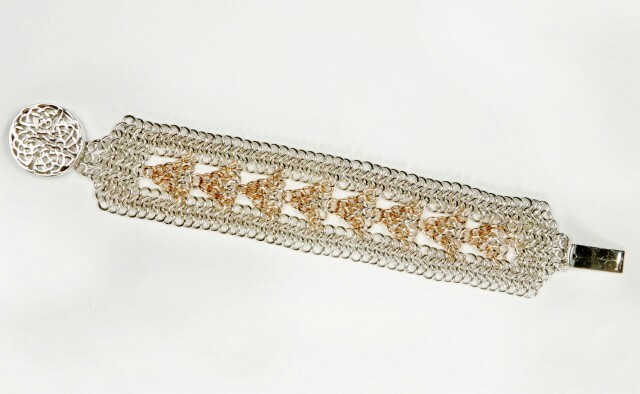 This is a wider bracelet for those who appreciate larger pieces of jewelry. It is an advanced beginner piece. I recommend this only in the two tone. The clasp is not included in the kit.